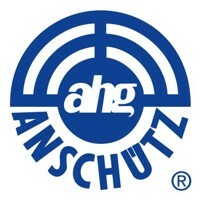 ahg-SHOOTING UNDERWEAR Functional and thermo underwear made of Tactel aquador. The ideal underwear for sports and leasure time: Unique fabric combination with very effective moisture-management. Maximum wearing comfort. Unique, two-layer cloth system. The inner Tactel-layer leads corporal moisture away from the skin to the outer cotton-layer where it evaporates. With stand-up collar and zipper. Humidity regulation. Temperature regulation. Breathable. Pleasant to the skin. Stable in shape, elastic. Easy care. Material:65 % cotton, 35% polyamide. Item Numbers Item Nr. :152 Undershirt long sleeves. Sizes: XS, S, M, L, XL, XXL.